Sike! I bet you thought this was going to be a post full of fairly useful tips on how to properly make use of grammar, complimented by sarcastic remarks. Nope! Just Chuck Testa. I considered writing a post of a similar nature, ranting about the lack of proper grammar by those who Facebook, Tweet, write blogs, and do whatever else people do on the internet. Then I realized the monumental task that I would be putting myself to, and I decided to reduce the condescension levels that means I’ll be nicer and, instead, write about the importance of grammar. Of course, I make my share of mistakes in this blog. You can probably even find errors in this post. Every now and then I leave out word, misspell a synonim, or forget to insert a words punctuation. See what I did there? No man is infallible, aside from Jesus and Chuck Norris, but I don’t think either of them blog. Jesus did write a pretty good book, though. You should totally read it. Aside from the students in the English Review classes at my college, I try not to be overly critical of others’ writing. I’m an English tutor, in case you’re wondering. I’ll let slide a few pronouns who are missing their antecedents. I don’t mind the occasional comma splice or wrongly inserted semicolon, and I try to overlook the stray confused homophone. That brings us to the somewhat main point of this post. Yes, it has a point. Strict enforcement of grammar is not as important as a clear conveyance of the message intended. Sometimes, it is raining outside. I must admit, while possessing some sense of grammar has the effect of enhancing one’s communication skills, this skill has its defects. Grammar can be restrictive of style. Conjunctions are not free to reside at the head of sentences, and who made up the rules for the proper usage of dashes? 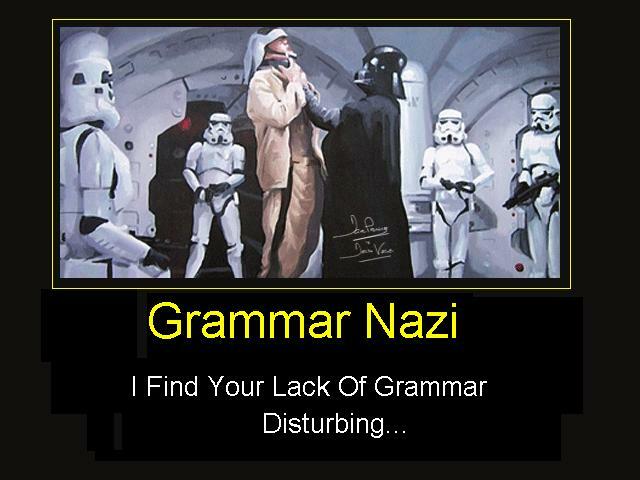 I don’t want to be a perfect grammarian; I just want my readers to understand the message. In this case, I want them to understand that I value grammar, and I believe they should as well. Translation: learn how to write. Writing may not be your forté, but you should do the best that you can. If you don’t, who knows what will happen; maybe I’ll troll you, or maybe you’ll write something that will offend the Grammarian Association of Newfoundland. The members will become so incensed with your lack of grammatical correctness that they will hire someone to do something bad to you. They’d hire mercenaries because grammarians aren’t very powerful people. The members–since they’re Canadian–will most likely hire Eskimos to engage you in an existential conversation on the ethicality of Canadian bacon in a society with public health care. This will be followed by a taunting of the value of the American dollar. The public shame and humiliation that will result could be devastating to your appetite. So, the next time you are tempted to misuse “their/there/they’re” or needlessly insert a comma, remember the Canadians. They’re watching you… eh. 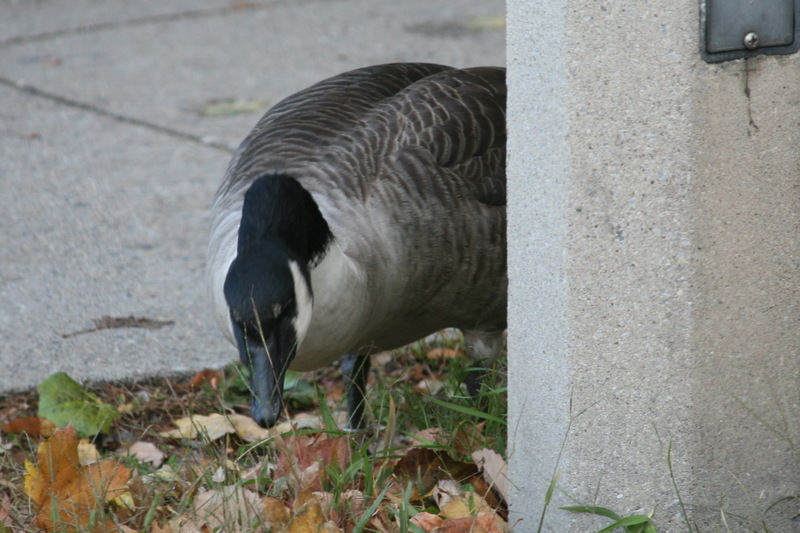 This entry was posted in How-To's and tagged Canada, Canadians, English language, Fun, Geese, Grammar, Grammar Nazi, Grammarian, language, Proofing, Trolling, Trolls, Tutoring, Writing.